Big Brother Spoilers > Big Brother > Big Brother 12 > Big Brother 12 Spoilers: Big Brother 9 Champ Pleads Guilty to Drug Charges, and admits to not paying taxes on BB winnings..
“Big Brother” winner Adam Jasinski just pled guilty in Massachusetts federal court for possession of oxy pills with intent to distribute — and get this, the feds are also nailing the guy for dodging taxes in the process. As we previously reported, the DEA arrested Jasinski last year for trying to deal 2,000 pills of oxycodone to a government informant — and after his hearing today, dude faces 20 years in prison plus a $1,000,000 fine. But that’s not it … the ex-reality star also fessed up to not paying taxes on his $500,000 in “BB” winnings — which he allegedly used to back his drug business — and could face another year in prison as a result. Sentencing is scheduled for January 11 next year. Big Brother will be watching. Omg 1mil? He does not have that kind of money for sure…. Thats kinda sad though. I liked Adam a lot. thanks for posting the stream of Brendon and Rachael! If they do more I hope they can be posted here. Good luck Simon. My son is a statistics major with an emphasis in actuarial science. 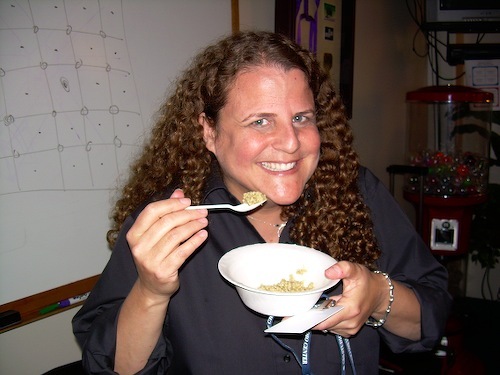 Allison Grodner pleads guilty to being fat. QAZ, you have such a crush on AG !!! Maybe by the start of next season your obsession will be under some control ! Good luck !!!! I knew something was wrong with Adam the first moment he spoke… got a totally creepy feeling from him. He was always sniffing, licking his lips, too intense… something was wrong with that guy. Now we know… idiot! Adam grossed me out day one too. He slimed the girls in his creepy way just as you say. Survivor tonight though! Adam had some pretty gross stories to share.. I’m not surprised at all that he’s busted for drugs. Although I would like to see Brendon and Rachel get some more TV exposures, I believe their video here is a sure sign that the Big Brother’s cast 15 minutes of fame is over. Oh, can someone send Britney a message: The NFL named Marisa Miller as their spoke person. hahahahaha! Britney thought that she was all that. LOL. Marisa is not just any model. She’s a Sports Illustrated Swimsuit model.